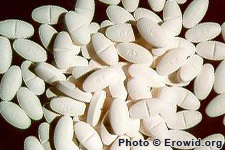 Zopiclone is a short-acting sedative-hypnotic used in the short-term treatment of insomnia. It is in a novel class of CNS depressants called cyclopyrrolones, which act on the same receptor sites as benzodiazapines. Zopiclone became commercially available in Europe in 1989 and in the U.S. -- as eszopiclone, its active (S) stereoisomer -- in 2005. It is known for causing a metallic taste in the mouth, which the others in its class (zolpidem, zaleplon) do not.